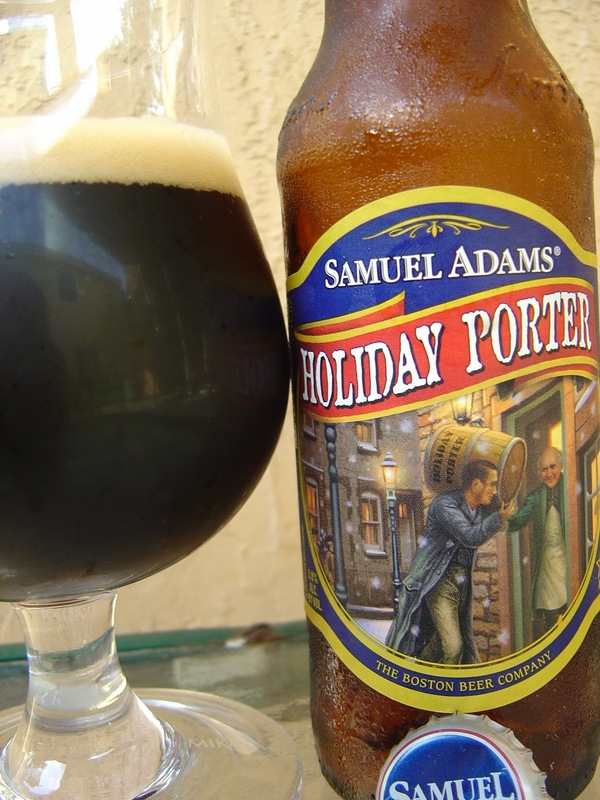 Today I'm drinking Samuel Adams Holiday Porter brewed by The Boston Beer Company in Boston, Massachusetts and a few other locations. The label depicts an old-time London scene with an old storekeeper giving a friendly wave to the dude walking by with a barrel of beer on his shoulder. I'd make friends with that guy too, actually! Enjoy before May, 2011. Chocolaty, roasted nutty aroma. Holy roasted astringent bitterness right out of the gate! What a terrible opening. Burnt citrus rinds, some nutty flavors, very hoppy. The carbonation accentuates all of those horrible aspects before you are left with a metallic aftertaste. What a disappointment and a pretty anti-fantastic beer! The End. Wow...I don't remember it being that bad. Great review though. I do remember liking Old Fezzywig better. Haha. I have Old Fezziwig in my draft folder now too, so you may not have to wait long. Wow, yeah, that's what I was trying to say! Thanks a lot!